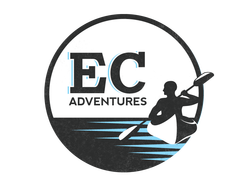 EC Adventures is located on The Woodland premises and offers different outdoor excursions. During the Spring & Summer enjoy kayak/canoe rentals and shuttles, birdwatching, and hiking. During the Winter months, enjoy ice fishing outfitting, cross-country skiing, and snowshoeing. Lake Eau Claire is a 1360 acre lake in Eau Claire County. It has a maximum depth of 25 feet. Visitors have access to the lake from public boat landings, public land, or parks. Lake Eau Claire and the Eau Claire River system are home to many species of fish including Muskie, Northern, Walleye, Largemouth Bass, Smallmouth Bass and Panfish. 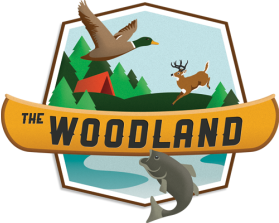 Fishing licenses can be purchased at The Woodland. There are three boat landings on Lake Eau Claire. During the summer months, boaters enjoy tubing, water skiiing, wakeboarding, and fishing among other water activities. Daily/annual vehicle entrance passes are required. You can purchase a pass at the forest entrance or online. The Eau Claire County Forest comprises approximately 52,000 acres and is a popular area for hunting enthusiasts and wildlife observers. Whitetail deer, bear, woodcock, ruffed grouse, squirrels, rabbits and other game abound. Gated hunter walking/game trails are mowed and maintained by the Parks and Forest Department to enhance grass and clover openings to benefit both game and non-game species. Hunting is allowed in the county forest, however, no permanent tree stands are allowed and portable tree stands must be removed daily. You may purchase a hunting license at The Woodland. The 15th largest forest in the state, the Eau Claire County forest offers hiking trails that offer opportunities to see Wisconsin's natural environment up close. With abundant wildlife and a lush forest atmosphere, there is much to see. A trail pass is not required for hiking. For both biking enthusiasts and casual bikers, the Lake Eau Claire area offers miles of quiet roads and trails. Trail passes are required. You can purchase a pass at the forest entrance or online. The county sponsors trails for the use of ATVs and snowmobiles. To check conditions of snowmobile trails click here. Trail passes are required. You can purchase a pass at the forest entrance or online. Enjoy cross country skiing on the Lake Eau Claire County Forest trails. To check snow conditions click here. Trail passes are required. You can purchase a pass at the forest entrance or online. The Woodshed in downtown Augusta.